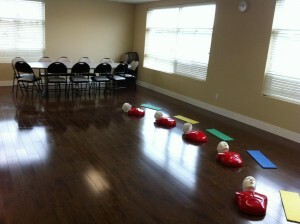 Workplace approved standard first aid is one of the most popular first aid and CPR classes available to Canadians. It is also one of the most comprehensive courses that many workplaces and school requires students and employee’s to possess certification in. We are partnered with a number of workplace approved standard first aid course providers that are located throughout Canada. Our training partners offer standard first aid training that comes standard with CPR level “C” and gives candidates the opportunity to register with a more advanced CPR “HCP”. All courses include training in the application of advanced equipment such as automated external defibrillators. Our standard first aid training partners are located throughout Canada in almost every major city. To register with any of our high quality, low prices standard first aid training providers select your area from the selection above or from the menu. All of our training partners have the highest standards in cleanliness, convenience and knowledgeable instructors. Prices are extremely competitive and registration is very easy. With these criteria in mind we have partnered with the best workplace approved first aid and CPR providers throughout Canada. All providers offer the certificates to successful candidates that meet government legislative requirements and workplace and academic standards. All certificates provided through our workplace approved providers are current for 3 years. Renewal courses and private courses are also available. All of our workplace approved standard first aid providers also offer individual and private courses for groups and business. To inquire or to book a certified workplace approved course in your area select your location from the main menu or from the highlighted section above. To register for any course candidates can visit our training partners websites and either call, email or register on-line. Take the most comprehensive course available by taking workplace approved standard first aid. This course will teach candidates to be prepared to deal with almost any emergency that can occur with a loved one, stranger or family member. Register today, its easy!